This global nomad is one of the original Third Culture Kids. He started his 17 years at Procter & Gamble in Switzerland and followed with posts in Saudi Arabia, Turkey, England, Venezuela, and the United States. 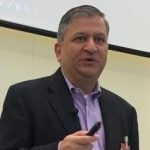 A research pioneer in far-flung former Soviet republics, Yogesh led consumer-centric global innovation efforts across multiple categories and for brands such as Pampers, Ariel, Olay, Old Spice, Crest, and Pantene before leveraging his leadership skills at both Amway and Kimberly-Clark. Recently, Yogesh started his own consultancy, Y2S Consulting, where he is focused on helping companies shape their path for growth starting with an external assessment of the market-place dynamics, refine their business model and define an innovation pipeline to translate their vision to reality. He feels a deep obligation to ensure that the recommendations he makes are based on consumer insights deliver sustainable business growth. And most comfortable when outside his comfort zone, Yogesh is always quick to challenge the status quo, especially in the age of IoT.